Motivated by the desire to leave a legacy for women whose lives were punctuated with difficulties and sufferings, Sister Marguerite Rivard participated in the realization of a short video addressing the issue of emotional autonomy. This project was made possible thanks to Geneviève Fortin, coordinator of Art Entr’Elles, Melissa Morris, visual artist and Nancy, a woman incarcerated at Maison Tanguay. In order to protect the image of Nancy, we share with you the sound track of this video (available in Franch only). Enjoy! 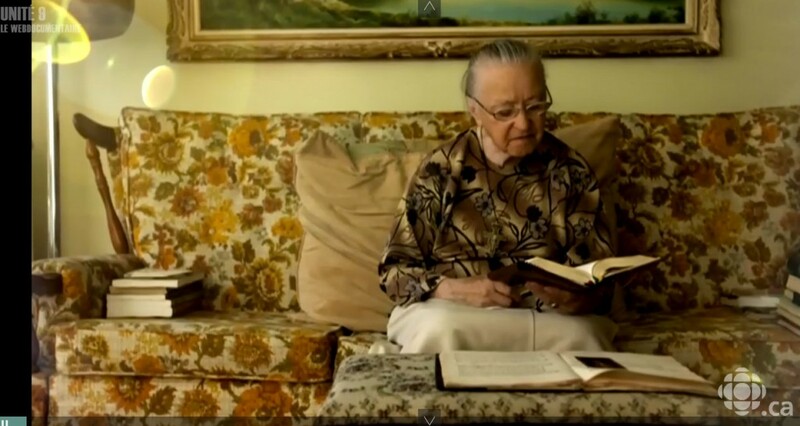 Click here to discover Sister Marguerite Rivard by watching a short webdocumentary capsule about this generous and devoted woman.